Public figures and colleagues past and present express sympathy following the news of Kean's sudden passing. An outpouring of sympathy and fond memories has followed the death of VOCM legislative reporter Meech Kean. Kean took his own life this past weekend. He was 27 years old. His death has come as a shock to even those who knew Kean well. Several of his colleagues at VOCM expressed their sadness today. "He loved us. We knew it, because he told us every single day. Meech cared so deeply for his friends, and that is why we are hurting so much," VOCM's Renell LeGrow wrote in an email to CBC News. "We were a family, and I will miss him endlessly. Please, always, reach out to your friends, support them, and love them. Be kind, and be open." 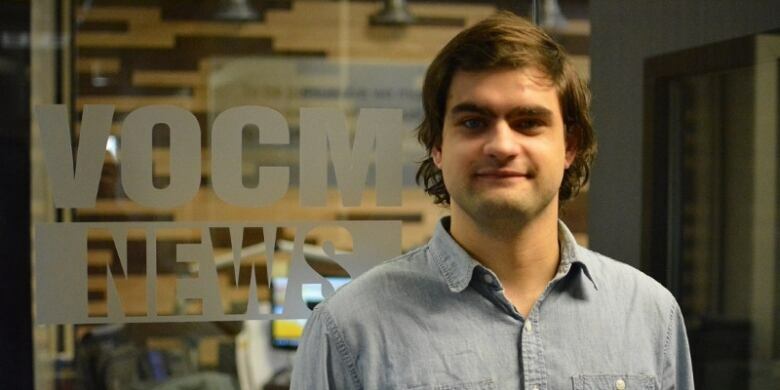 Renell LeGrow of VOCM referred to Kean as "family"
Kean was regarded as an up and comer in the world of Newfoundland journalism — with a reputation for enthusiasm and tenacity that made him a natural news person. In a tweet earlier today, Premier Dwight Ball said, "He was one of the brightest and sharpest media colleagues I have ever had the pleasure to work with." Sending my deepest &amp; most heartfelt condolences to family, friends &amp; anyone who was lucky enough to meet Meech Kean. He was one of the brightest &amp; sharpest media colleagues I have had the pleasure to work with. His creative mind, quick wit and warm smile will be greatly missed. The CBC's Fred Hutton — formerly of VOCM — hired Kean during his time at the radio station. In a Facebook post earlier today, Hutton spoke of his determination and endearing personality. "Despite his size and presence, he disarmed people with his wide smile and sense of humour. He was direct, but fair. Firm, but compassionate," read the post. "He was respectful, but still did his own thing. I liked all that about him." Const. Geoff Higdon, media relations officer for the Royal Newfoundland Constabulary, also spoke to CBC about Kean. "Meech was a very professional young journalist who worked hard to deliver fair and balanced stories," Higdon said in an emailed response for comment. 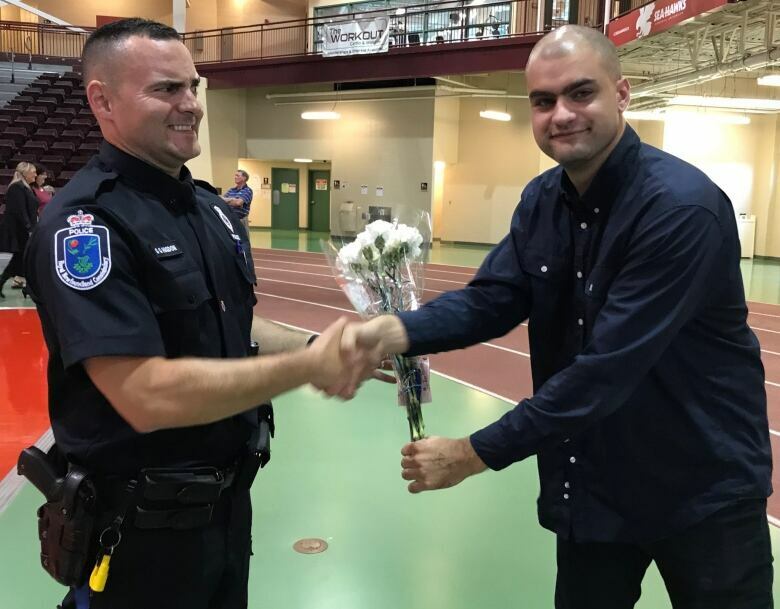 Although Higdon knew Kean solely through his work as media relations officer, he expressed his sympathies to Kean's co-workers and friends and shared an amusing tale. "I will never forget getting a bouquet of flowers at a media event as an apology for a mix-up that he had made a few days prior — always a joker!" Paddy Daly spoke frankly on VOCM's Open Line Tuesday urging genuine conversation around mental health. "Meech died by suicide. It's a shock, needless to say, to everyone here in this building and we're deeply saddened by it," he said. Daly went on to say that there should be no embarrassment or stigma around Kean taking his own life, speaking of the importance of acknowledging the reality of the situation and encouraging reflection. "The conversation has to be open and honest. In your own workplace. Amongst your social circles. Don't be afraid to have it and don't be afraid to talk about it." If you are in distress or considering suicide, there are places to turn for support, including your doctor or Newfoundland and Labrador's Mental Health Crisis Centre at (709) 737-4668. The Canadian Association for Suicide Prevention also has information about where to find help. Stephen Miller is a journalism student at the College of the North Atlantic and a contributor to CBC News in St. John's.